Hosted by journalist Johanna Schneller and featuring candid studio conversations with creative talent behind some of the greatest Canadian films and filmmakers. 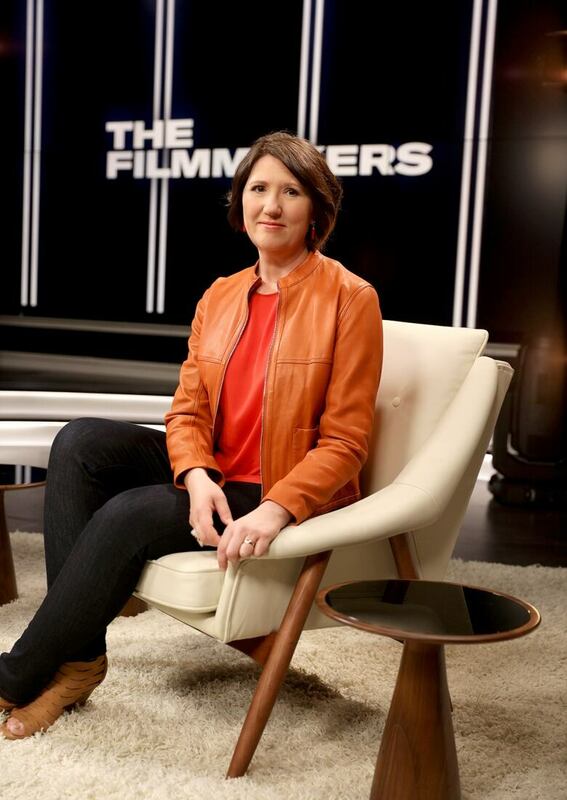 Hosted by journalist Johanna Schneller, The Filmmakers features fun, candid studio conversations with creative talent behind some of the greatest Canadian films and filmmakers of the last 20 years. With a lively, diverse mix of personalities ranging from icons to experts to the next generation of filmmaking talent, we find out how some of the most significant Canadian films were made, and why we need to watch them. Following each episode, the film will air in full. The Filmmakers launches this Saturday, July 22 at 8:30pm (9pm NT) on CBC TV and online at cbc.ca/watch, debuting with Atom Egoyan's The Sweet Hereafter — the first of 11 Canadian features airing Saturday nights on CBC. The show will feature creators, directors and artists ranging from icons and experts to the next generation of filmmaking talent including: Xavier Dolan, Sarah Polley, Director X, Atom Egoyan, Mina Shum, Kim Nguyen, Don McKellar, Deepa Mehta, Zacharias Kunuk and Jennifer Baichwal, as well as guest panelists Connor Jessup, David Suzuki, Stephanie Morgenstern, Bob Martin, Eli Glasner, Samantha Wan, Emmanuel Jal, Elisapie Isaac, Cameron Bailey, Sook-Yin Lee, Peter Knegt, Edward Burtynsky, Nyla Innuksuk, Anita Lee, Cazhhmere and Academy Award-winner Sylvain Bellemare. ​Atom Egoyan reflects on his Oscar-nominated The Sweet Hereafter — one of the most celebrated Canadian films of all time. Watch Episode 1 of The Filmmakers now and stream the film. Sarah Polley joins us for an intimate conversation about her life, her work and her very personal documentary, Stories We Tell. Watch Episode 2 of The Filmmakers now and stream the film. Don McKellar showed us how the world might end in the film Last Night — and launched his directorial career in the process. We look back with him at how the end was only the beginning. Denis Villeneuve is one of the world's most visionary filmmakers with his films Arrival and the upcoming Blade Runner 2049. We look back at Incendies, the film that shot him into the cultural stratosphere. Mina Shum gives us a crash course on how much has — and hasn't — changed since her film Double Happiness broke ground for Asian representation in Canadian cinema. Kim Nguyen shares the story behind Rebelle (War Witch), his Oscar-nominated magic realist film about child soldiers. Xavier Dolan made his award-winning debut film J'ai Tué Ma Mère (I Killed My Mother) when he was just a teenager. He joins us to talk about the meteoric rise to international acclaim he's had since. Deepa Mehta takes us on a journey to Water, the powerful conclusion in her award-winning trilogy that explores human rights issues in India. Zacharias Kunuk joins us to talk about Atanarjuat (The Fast Runner), widely regarded as the best Canadian film of all time — and the first feature film made entirely in the Inuktitut language. Jennifer Baichwal and photographer Edward Burtynsky reflect on how art can lead to action. Plus, David Suzuki shares why he's in awe of their film Manufactured Landscapes. From Drake's "Hotline Bling" to Rihanna's "Work", Director X has made some of the most innovative music videos of the last decade. He joins us to share his plans for a cinematic second act, starting with his feature film Across The Line. Tune in to The Filmmakers every Saturday on CBC Television or stream it online at cbc.ca/watch.